Young, creative, entrepreneur to open innovative wine bar, restaurant, store and gallery in the heart of California’s Central Coast wine region. 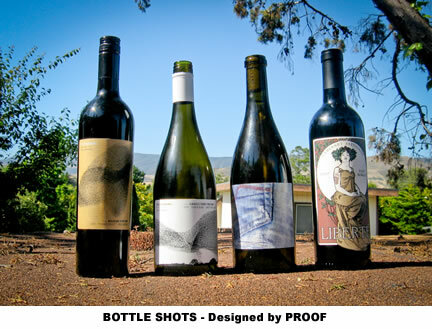 November 19, 2012, 7:05 am -- /EPR NETWORK/ -- Josh McFadden, the 31 yr. old Creative Director and Founder of Proof Wine Collective (a creative company dedicated to developing small-production, critically-acclaimed wineries) has big plans for a space of his own. The self-taught entrepreneur has spent over ten years mastering the ins and outs of the wine industry: working harvest, sommelier at restaurants, wine buyer, wine shop clerk, cellar rat, cook, server, and wine label designer... He's been there! "The winemakers I've worked with, just like myself, don't come from money or privilege." Josh brings up. "We've had to make our own way and we couldn't have made it this far without the support from our friends." In preparation for Turncoat, Proof Wine Collective has put together a compelling campaign to raise money and awareness on the crowd-funding site Kickstarter.com. They're trying to raise $25,000 by Dec. 3rd in order to help fund some of the initial start up costs of the wine bar. Rewards for support vary from graphic t-shirts, fine art prints, and custom art pieces inspired by yourself. 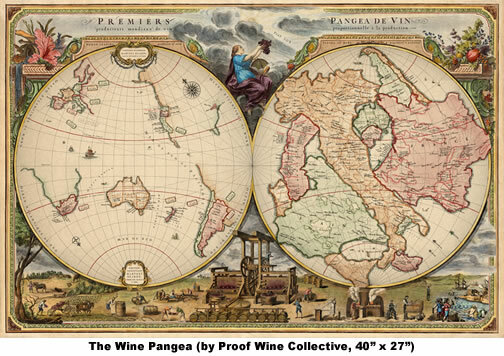 �One print we made is called Wine Pangea which is my attempt to simplify and beautify the world of wine; and the other is called Presidential Drugs of Choice it's a print detailing every drug/vice done by each President,� explained Josh. Both the prints reflect Proof's unique creative style which reappropriates vintage engravings with colors, elegant typography, and new information. 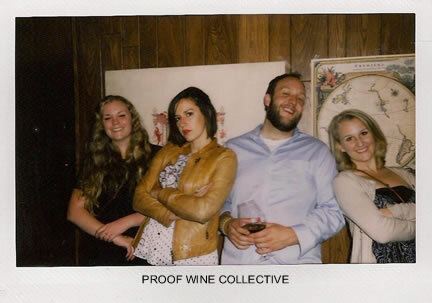 Proof Wine Collective was founded in 2008 in order to create a world where curious and creative spirits may fall in love with wine. Visit their website at www.proofwinecollective.com. For more information, steakhouse recommendations, interviews, or additional photos please contact Sarah Berger, sarah@proofwinecollective.com.